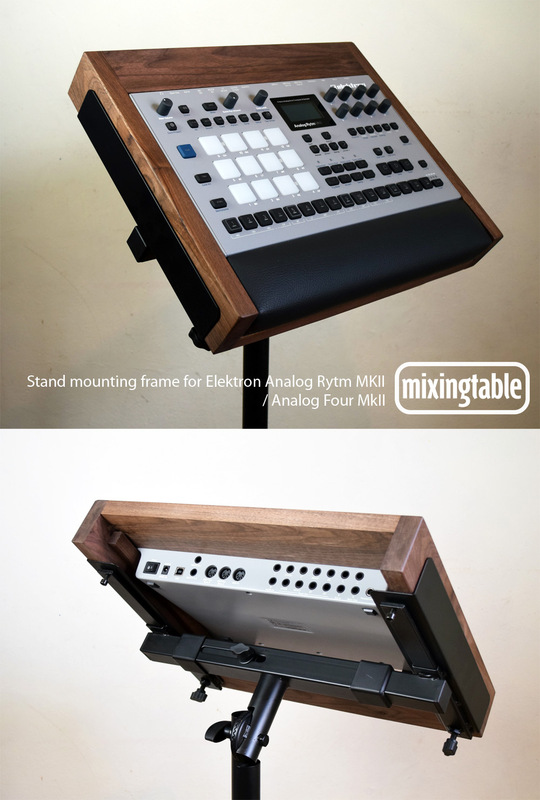 Solid Hardwood mounting frame for Elektron Analog Rytm mkII / Analog Four mkII. Durable black vinyl padded strip. Available to order in Solid Walnut, Mahogany, Ash, Oak, or Beech. Hand finished in natural oil. Fits Quik Lok 400 stand. We make everything to order. Estimated shipping date 21 days from payment. 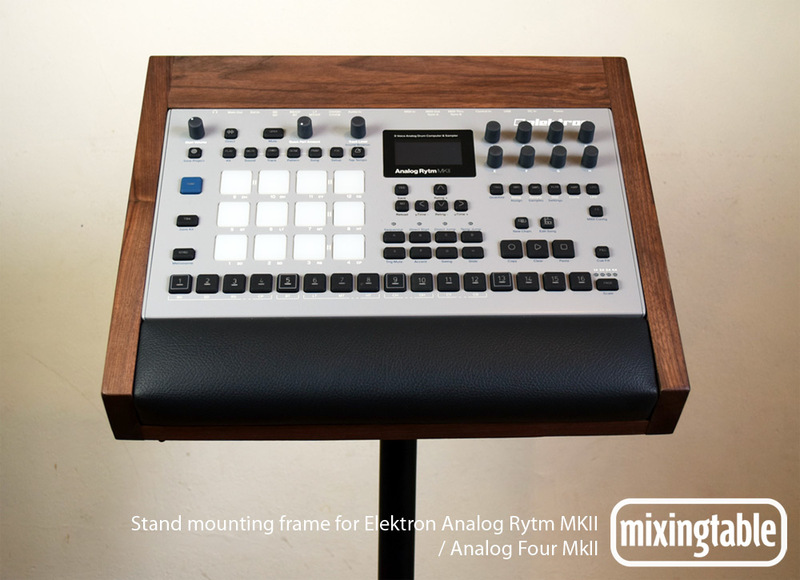 Solid hardwood Stand mounting frame for Elektron Analog Rytm MkII or Analog Four MkII to fit Quik Lok 400 stand.